Join us for a pile of pasta and you could earn a pile of cash! Join us at The Black Cap Grille on Tuesday night, March 5th for a burger and a beer! A portion of this evening’s sales support Arts Council of Tamworth! A mid-winter chance to come out and sing and dance during daylight hours, all while getting your grocery shopping done! Snap! One girl’s journey through mental illness, institutionalization and recovery. Where There’s Smoke, There’s Dinner | Storytelling residency with Regi Carpenter. West African music, poetry & storytelling with Malian musician and griot, and the king of the n’goni, Cheick Hamala Diabate. Season Preview, Tasting & Tour with Sap House Meadery! Join us for our first major fundraiser of the year, a Season Preview, Tasting & Tour at Sap House Meadery! Celebrate 50 years of arts experiences with us as we welcome back Tamworth favorites for our most exciting fundraising event yet: Dinner & a show with Rani Arbo & daisy mayhem! Treat your dad to an evening he won't forget this Father's Day! Arts Tamworth welcomes Louisiana documentary filmmaker Lily Keber for a weeklong residency at the K.A. Brett School and a public screening of her award winning movie, Bayou Maharajah, about the life and music of New Orleans piano legend James Booker. The Sweetback Sisters Christmas Singalong Spectacular! The Sweetback Sisters bring their Christmas Singalong Spectacular to Tamworth! A modern take on the golden age of country music with matching outfits to boot! Antonio Rocha (pronounced “Haw-sha”) tells dynamic, atmospheric stories using an elegant mixture of acting, mime and voice. Antonio transports his audience to another time and place using nothing more than his body and his voice. Don’t miss this riveting, one-man show live at K.A. Brett School! This is a Choose-Your-Own Ticket Price event. All are welcome! Children and adults learn mime, create atmosphere & craft seamless transitions in their stories in this participatory session, filled with movement and fun! Storyteller and mime Antonio Rocha joins us for a weeklong artist residency in November. On Thursday, May 25 at 4pm area educators are invited to a teachers’ workshop where Egyptian musician, dancer and folklorist Karim Nagi will introduce the diversity of Arab culture through music, dance, language and costume at the K.A. Brett School in Tamworth. Arts Council of Tamworth community workshops are free and open to the public. To register, email artstamworth@gmail.com. Drop-ins are also welcome. Karim will spend the weekdays at the K.A. Brett School working with all K-8 students. Through the universal language of music and dance, Karim will demystify and humanize Arab culture in an engaging, fun, participatory program for young people called Arabiqa. The community is invited to celebrate Karim’s week with the students at a public assembly at the KA Brett School on Friday May 26 at 2pm. This residency is funded in part by the New England States Touring program of the New England Foundation for the Arts, made possible with funding from the National Endowment for the Arts Regional Touring Program and the six New England state arts agencies. 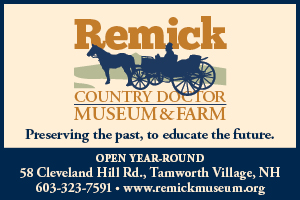 Special thanks also to our community business sponsors, The Other Store, Emerald Tree Experts, Remick Country Doctor Museum & Farm, Settlers Green, Club Motorsports, Cooper Cargill Chant and Ossipee Valley Music Festival and to The Tamworth Foundation for ongoing support. Arts Council of Tamworth welcomes Egyptian-American musician, DJ, and dancer Karim Nagi to Tamworth for a 4-day residency May 23-26. The residency will culminate in an energetic performance at The Barnstormers Theater on Friday, May 26 at 7:30 pm. During Karim’s residency our community will explore Arab music, dance and customs with this master percussionist and multi-instrumentalist. Join us for a FREE all-levels community workshop at Runnell's Hall in Chocorua on Tuesday, May 23 from 6-8pm. Participants will learn Arab rhythms of Egypt, Iraq, Jordan, and beyond. Karim will present traditional Arab instruments, melodies, and group dances both complex and simple. Arts Council of Tamworth invites you to its Benefit Auction on Sunday, April 23rd at The Preserve in Chocorua, NH from 5-7pm. Live auction, with George Cleveland presiding, begins at 5:30pm; viewing along with sweet and savory appetizers, refreshments, wines, and craft beers starts at 5pm. Admission is free and open to the public. Join us for a weeklong residency with hip-hop poet and playwright Aaron Jafferis. It all starts this Sunday, January 8th at the Unitarian Universalist Fellowship of the Eastern Slopes, and culminates in a final performance of Aaron's recent work, Smooth Criminal, featuring beatboxer Chris Celiz at the Tamworth Lyceum on Friday, January 13. And don't miss our Wednesday night community workshop at Cook Memorial Library! This wonderful multilingual South African singer and songwriter will perform TWICE in Tamworth! Art Works Gallery is proud to sponsor a regional Summer Art Show & Sale at Runnells Hall in Chocorua, NH, featuring many of the talented artists and craftspeople of the area, July 29-31. Join us from 6:00 to 8:00 for the opening reception of the 2016 Summer Art Show & Sale. Music, refreshments, friends, art! Time to sign up to show your work at the Annual Summer Art Show! Arts Council of Tamworth invites you to its Benefit Auction on Saturday, June 18 at Runnells Hall, Chocorua, NH, with auctioneers Tom Troon & Sons. Live auction begins at 7:00 PM; viewing, light refreshments and wines at 6:00 PM. Auction proceeds support school & community-wide artist residencies, free creative workshops for people of all ages and unique Choose Your Own Ticket Price performances, and this year also support the Tamworth 250th Mosaic Project. This year’s auction is special. In addition to wonderful local items—from gift certificates to local restaurants and shops to greeting cards and locally handmade gifts—and passes to places and events farther afield (four Disney World One-Day Park-Hopper tickets! ), the auction will also include over 20 oil and watercolor paintings donated by the late Stephen M. Spalding with values ranging from $50 to $2000. Stephen Spalding was an avid art collector and traveler. Born in Honolulu, his collection reflects the many landscapes he inhabited from the distant tropics to quaint New England scenes. Mr. Spalding often visited Tamworth to see his aunt, Joan Cave, and desired for his collection to give back to the community she loved. Read more about the collection here. Charity auctions are win, win, win. Businesses get exposure and connect to new customers, patrons can find bargains on special items or bid on goods and services they would buy anyway, and the nonprofit gets invaluable support for its work. Proceeds from this auction help support all Arts Council of Tamworth’s diverse and affordable arts programming, so the whole community wins! Please invite your friends. 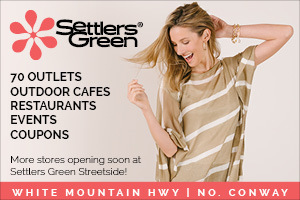 Big thanks to season sponsor The Other Store, to sponsor Cooper Cargill Chant, and to Media Sponsors The Conway Daily Sun, The Mountain Ear, and 93.5 WMWV | Magic 104FM. What is the Mosaic Mural Project? In honor of Tamworth’s 250th anniversary, Arts Council of Tamworth will bring mural artist David Fichter to work with Brett students and area residents (you don’t have to live in Tamworth!) on the creation of two large glass mosaics celebrating the attributes—historical, cultural, ecological—that make Tamworth special to those of us who live and spend time here. Students and community members will design and contribute elements that Fichter will incorporate into a mural template. Community members and Brett students will work together to build the mural in March 2016 and we will also provide opportunities for families, high school students and area residents to work on the mosaics outside of school hours. We want everyone to place at least one symbolic tile on the mosaic! The murals will be installed on the left-hand front of the Brett School, a town-owned building and a location that will be visible to everyone who drives by. More info here. The kickoff event is an opportunity to learn more about the project and begin the communal work of designing it. Fichter will show images of similar projects and explain the process, and then participants will have an opportunity to brainstorm design elements. Questions to get you thinking: What do you love about Tamworth? What are important parts of its history you believe should be included in the mosaic? What resources do you know of—historical images, sayings, poems, places—that would be helpful to the artist? Participants are also invited to bring images such as old photos that Fichter might be able to incorporate into the design. If you're not able to attend, you still have until January 28 to contribute design elements. Artist David Fichter has been creating community murals and mosaics for over 30 years, working all over the United States and in other countries, including Armenia, Georgia, and Nicaragua. He has worked with youth of all ages on over 200 permanent murals, in addition to another 70 commissioned projects. Big thanks to The Tamworth Foundation for a generous grant in support of this project. Donate in support of our work here. Find out about sponsoring the mosaic mural here. Thanks to Arts Council of Tamworth media sponsors The Conway Daily Sun, 93.5 WMWV and Magic104FM. Please join us for our annual Benefit Auction at Sunny Villa Restaurant in Ossipee. Come eat a delicious breakfast or brunch and enjoy a silent auction, 50/50 raffle and a LIVE auction at 10:00 AM. All proceeds support artists-in-residence at the Brett School and elsewhere, free creative workshops for everyone, and diverse Choose Your Own Ticket Price performances. This year proceeds also support our Tamworth's 250th mosaic mural project. Sunny Villa will also donate 10% of their profits that morning to Arts Council of Tamworth—thank you, Sunny Villa! Bring your friends and make a leisurely Sunday morning party of it. Please consider donating a product or service, and if you'd like to volunteer to help solicit auction items, let us know. Check out an ever-growing list of auction items here. Arts Council of Tamworth is excited to bring Japanese storyteller and mime Motoko to Tamworth for five days of school and community workshops and to entertain and delight us with her storytelling in a performance on Friday, November 6 at 7:30 PM at Tamworth Congregational Church in Tamworth. Tickets on sale online at artstamworth.org and at the door. Choose Your Own Ticket Price, $5 to $30 for adults, $0 to $5 for youth to 18. Ticket revenues help support free workshops and performances in school and community—please invite your friends! Lots more info here. On Wednesday, November 4, come to a Storytelling Lab with Motoko at Cook Memorial Library in Tamworth, 6:30-8:30 PM. People preparing stories for Tamworth’s 250th and everyone else are welcome to come learn skills for telling a riveting story—no experience necessary. Bring refreshments to share if you wish. Both workshops are free; donations welcome. More info here.